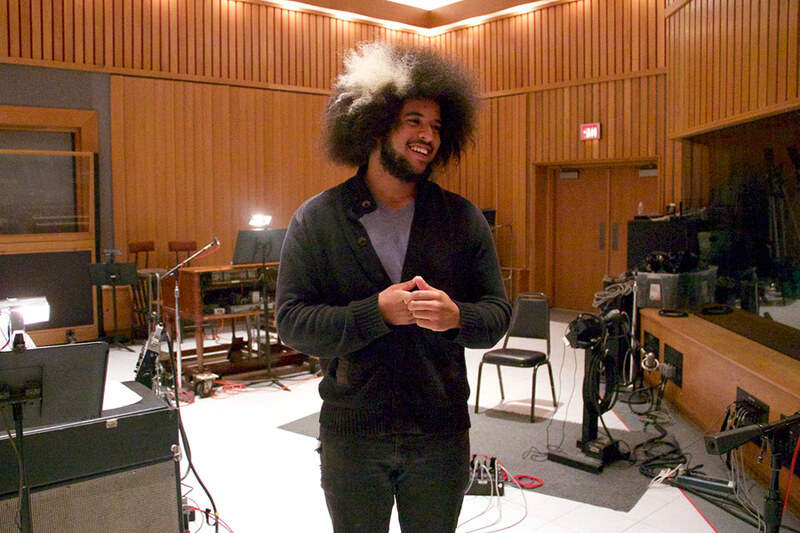 Brian Jones, a senior in the Popular Music program who will graduate this week, has found a refreshing sense of calm amidst the typical end-of-year jitters. Jones performed at the Popular Music Showcase at the Troubadour club (Top). 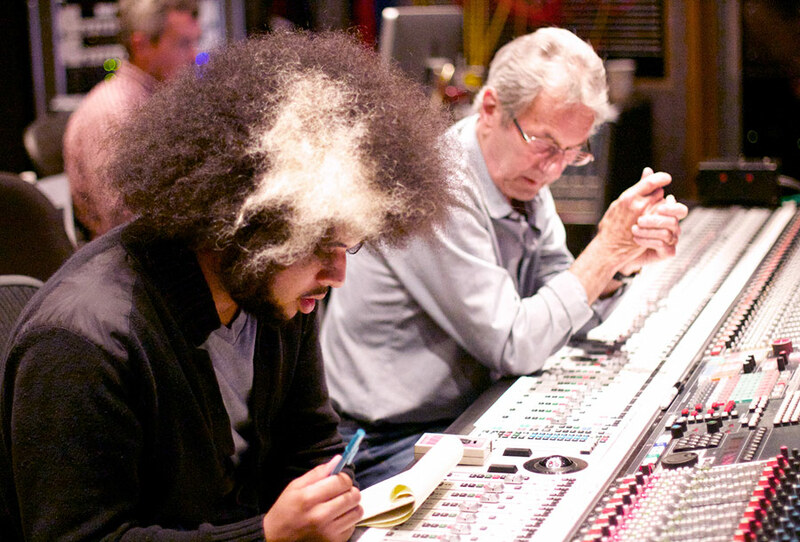 He also worked with legendary recording engineer Al Schmitt at Capitol Records to record Thornton students (Below). A lot is expected of Jones and his fellow graduates. Each year, USC Thornton recognizes a handful of outstanding graduates at the annual Honors Convocation that precedes Commencement. Among the many awards given, Thornton highlights one truly exceptional graduate from each class who exemplifies a commitment to excellence and a passion for their craft. Jones, one of this year’s Outstanding Graduates, is joined by Catherine Gavin, B.A. (Music), Brendan White, M.M. (Keyboard Studies), Cameron O’Connor, D.M.A. (Classical Guitar), and Somang Jeagal, A.D. (Keyboard Studies). 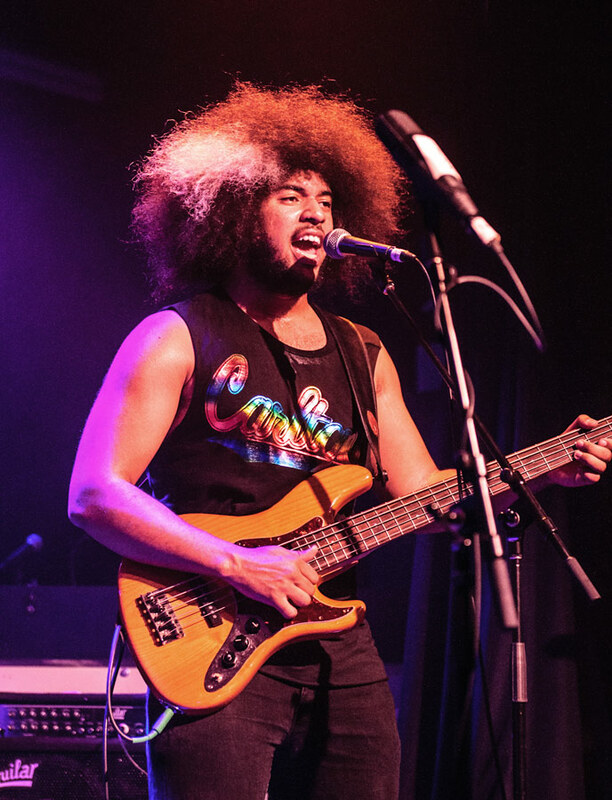 Jones reflected on his time at Thornton after four years of playing bass, producing records for friends, wearing a “bunch of different hats” as a music student, and finding a community of artists that extends far beyond graduation. Classical Guitar student Cameron O’Connor, another Outstanding Graduate, has proven that a holistic music education means being open to new experiences and challenges. 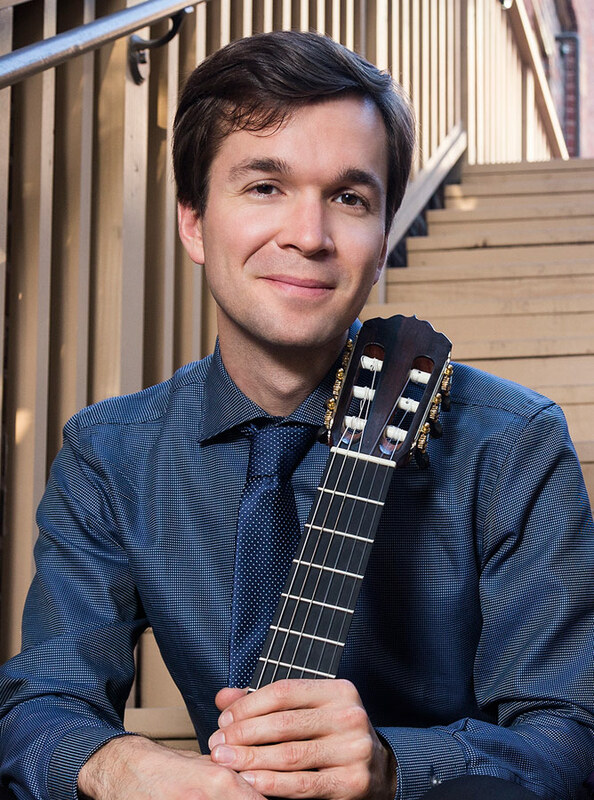 Since enrolling at Thornton, he has played classical guitar in solo recitals and chamber ensembles, banjo in new music performances, and electric guitar in Top 40 cover bands. That Jones and O’Connor feel so confident in their ability to take on new challenges post-graduation is a testament to the creative community they both found during their time at Thornton. “There’s truly nothing quite like the assemblage of Classical Guitar faculty anywhere in the world as far as I’m concerned,” said O’Connor, on why he chose to attend Thornton in 2011. 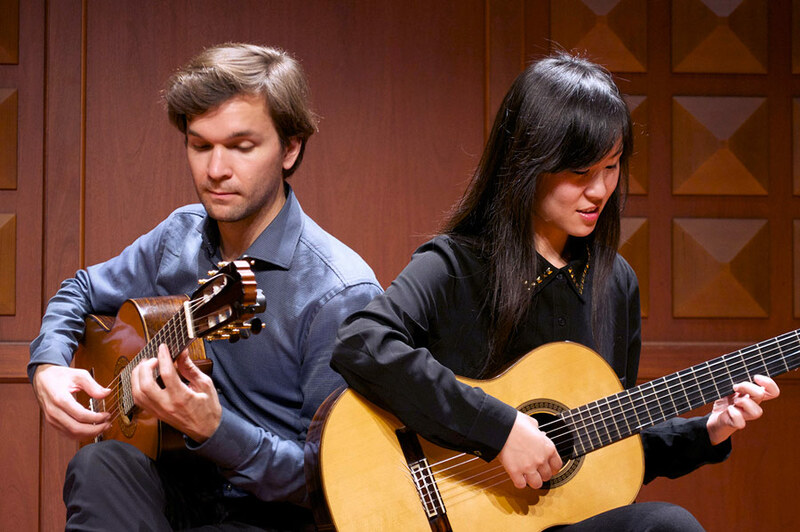 O’Connor performs with guitar duo partner Wenjun Qi (Top). 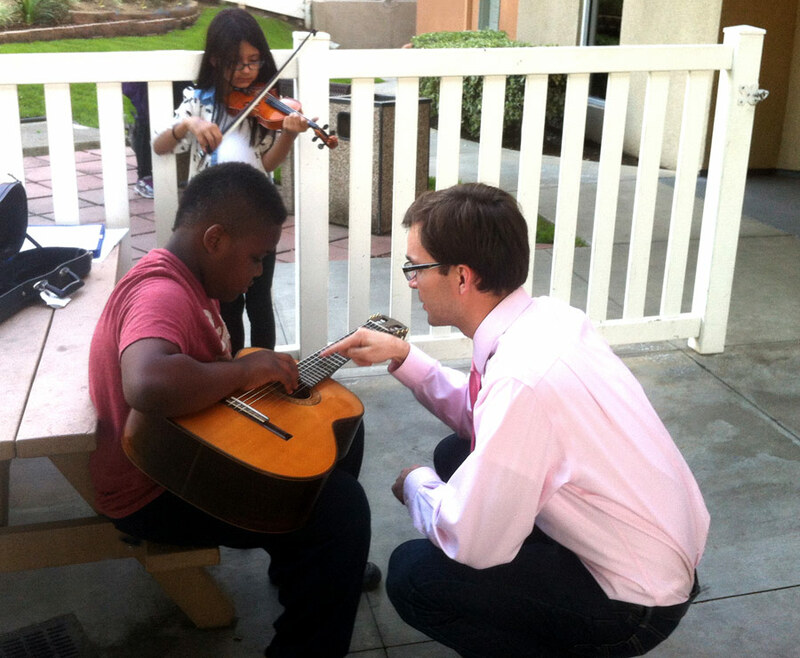 Below, he is seen working with budding musicians at Salvation Army housing last year. Jones notes that a broadened perspective toward one’s own musicianship can lead to unforeseen possibilities. “If you can stay focused and do as much stuff as you can with music while in school and have an open mind, you’re going to see insane results,” he said. Navigating that inevitable interconnectedness with fellow musicians is what has allowed Jones to make connections that will last long after the commencement speeches have been made and the graduation caps thrown.